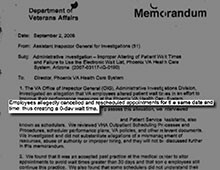 A 2008 VA memo found that it was "accepted past practice" for workers in Phoenix to alter records of patient wait times. Click for a larger image, or find the full report here. 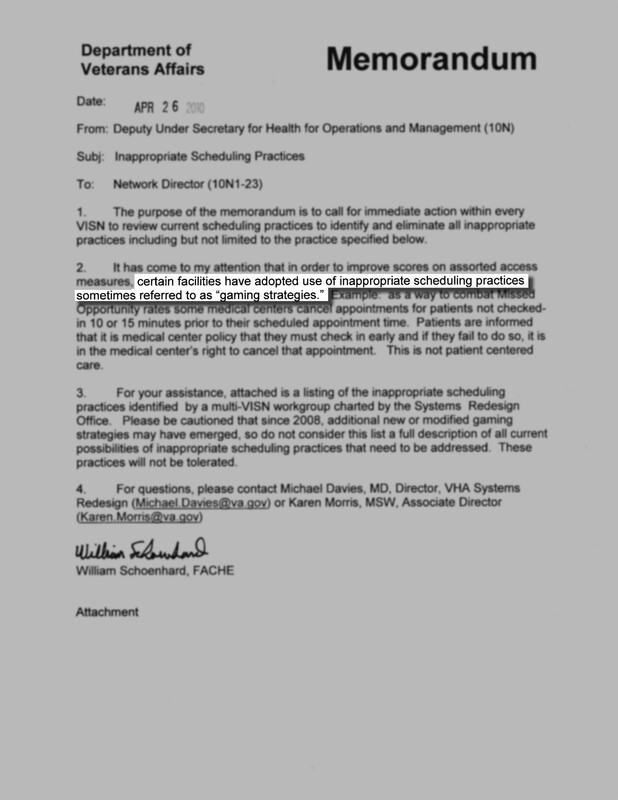 A 2010 internal memo from the VA reported on "gaming strategies" used by Phoenix VA workers to improve their performance scores. Click for a larger image, or find the full report here. 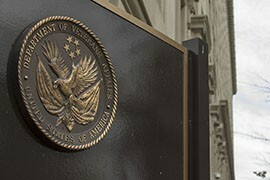 WASHINGTON – Lawmakers reacted angrily this week to reports that the Department of Veterans Affairs may have known about problems at its Phoenix health care facilities years before they came to light this spring. A 2008 report by the VA Office of Inspector General found that workers in Phoenix were manipulating records to improve their own performance reviews and to make it appear as if veterans had shorter wait-times for care. 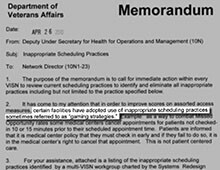 That was echoed in a 2010 internal memo that said VA employees were “gaming the system” to make wait times appear shorter. Those same practices were revealed this spring, when whistleblowers charged that delays in health care may have led to the deaths of some veterans. Those disclosures sparked a series of angry hearings in Congress, which passed a multibillion-dollar reform bill this summer. VA officials said Thursday that the earlier reports addressed problems as they were identified and it should have been “no secret” to Congress. But lawmakers didn’t see it that way. “Anyone who concealed these findings should be immediately fired,” said Rep. Ann Kirkpatrick, D-Flagstaff, in a written statement late Wednesday. Sen. Jeff Flake, R-Ariz., said Thursday that he found the existence of earlier reports “disturbing.” Those reports “further highlight the need for fundamental reform, new leadership and full accountability at the Phoenix VA,” he said in a prepared statement. Problems uncovered at the Phoenix VA earlier this year started a national examination of the department that found widespread problems and led to the resignation in May of then-Secretary Eric Shinseki. An August inspector general’s report on the Phoenix facility cited cases of wait-time manipulation at 20 other facilities around the country. 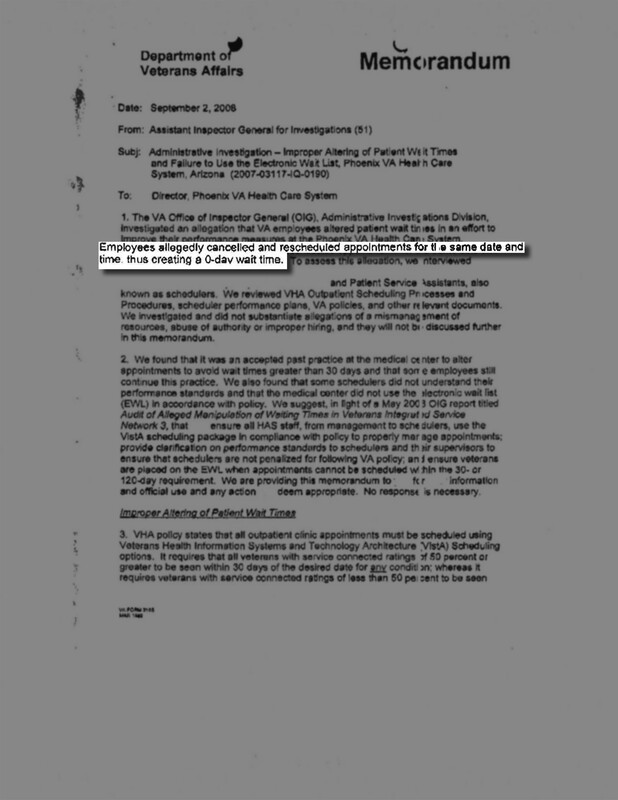 It included links to the full reports on those other cases, dating as far back as 2005, and also linked to a 2011 report on mismanaged non-VA care funds in Phoenix. OIG officials said Thursday that the 2008 report had not previously been released because it contained information protected by the Privacy Act, which protects personal information recorded by federal agencies. Miller’s committee led the charge for VA reform this spring and summer, when Congress passed the Veterans Access, Choice and Accountability Act of 2014. 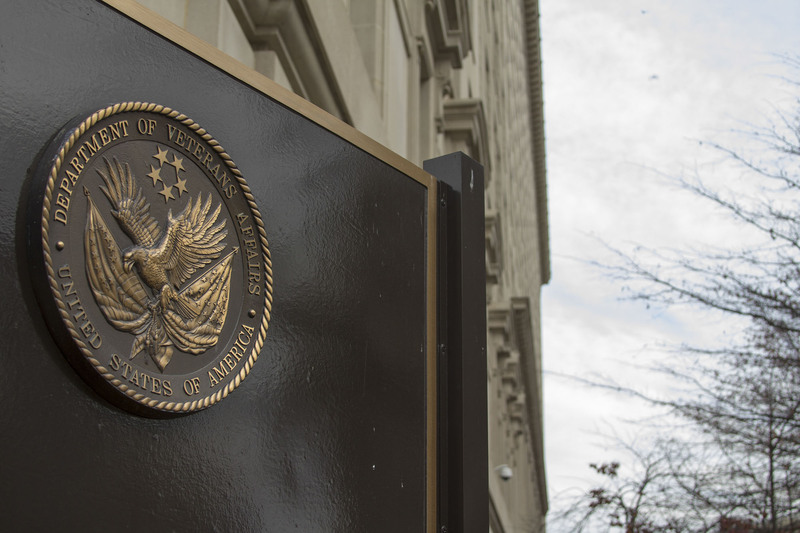 Besides appropriating $17 billion for VA reform, the bill gave the VA secretary greater leeway in firing poorly performing managers, among other changes. Rep. Kyrsten Sinema, D-Phoenix, in a letter Wednesday to VA Inspector General Richard Griffin, asked that all unpublished reports from the past 10 years be made public. The Department of Veterans Affairs was dealing with reports as early as 2008 of workers in its Phoenix facility altering records to make it look as if veterans were getting treatment sooner than they actually did.